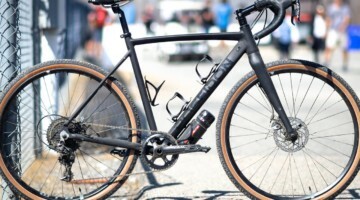 San Francisco-based Soma Fabrications is no stranger to the gravel tire market, with over 10 models 38mm in width or wider. 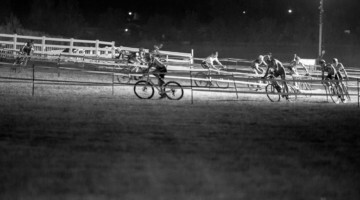 Soma is no stranger to Cyclocross Magazine as well; in the past we have reviewed the Cazadero 42mm gravel tire and the 700 x 38mm Panaracer-made Soma Shikoro. 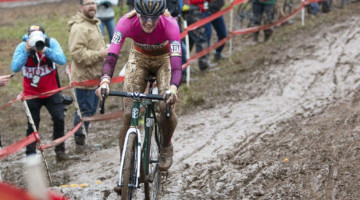 Even the best gravel grinder in the land is going to include some pavement, and not everyone wants to swap nicely-seated and sealed tires for different courses. 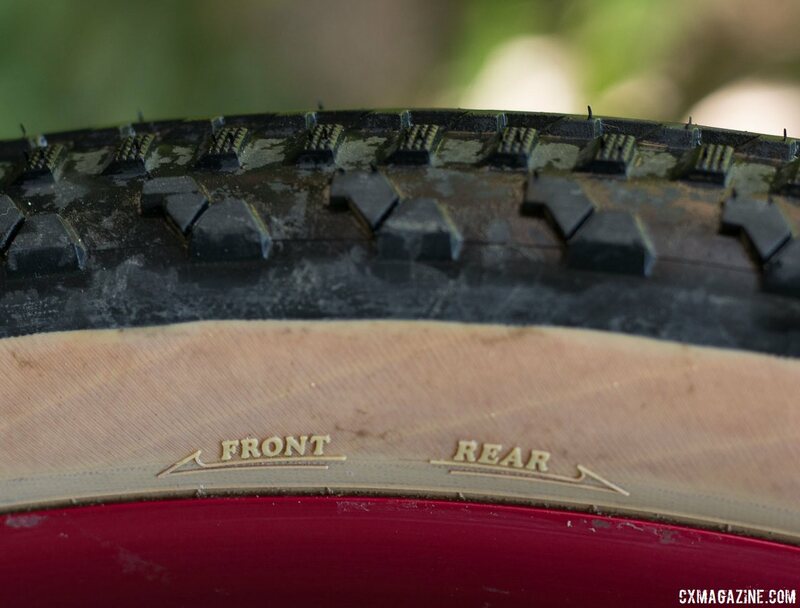 Mixed-terrain and gravel tire makers are chasing the Holy Grail of balancing low running resistance for pavement sections with enough tread to maintain traction on loose off-road sections. 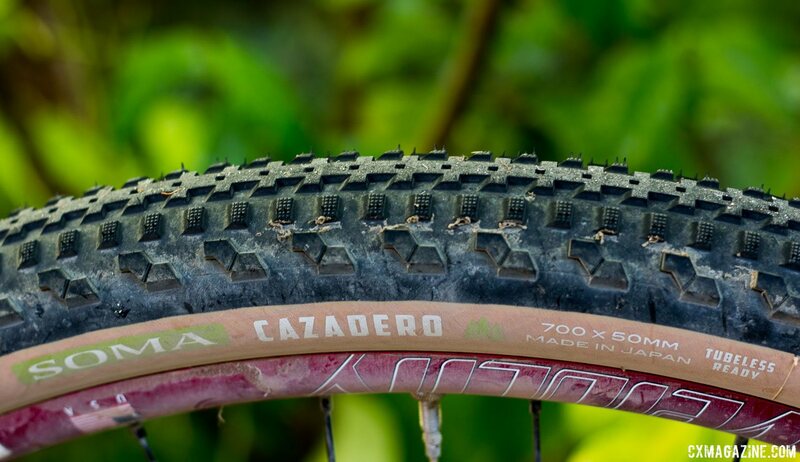 When we reviewed the Cazadero 42mm, we found that it came about as close to achieving that Holy Grail as any mixed-terrain tire we have seen. 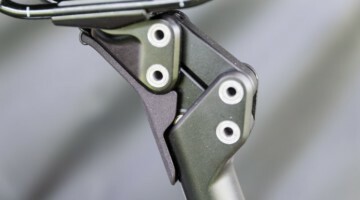 The 42mm Cazadero has a raised center for smooth pavement riding and big knobs on the sides to provide grip on loose off-road corners and driving or braking traction at lower tire pressure. 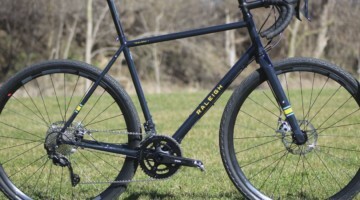 With the trend toward fatter tires for the gravel crowd, Soma has up-sized the Panaracer-made Cazadero into a new tubeless-ready 50mm model. The new 700 x 50mm Cazadero features the same tread pattern as the 42mm model we previously reviewed, with a raised center profile for smooth pavement sections and chunky knobs on the side to provide grip when roads get loose. 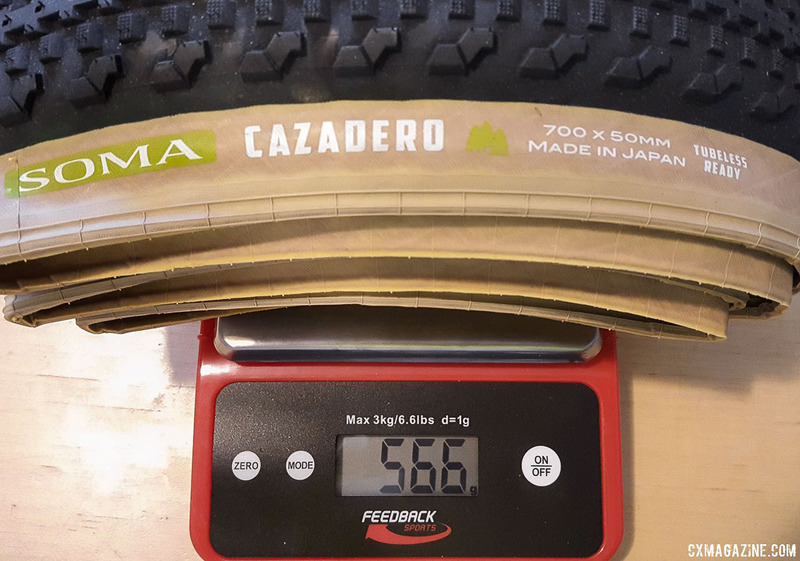 The 50mm Cazadero differs from the 42mm not only in width, but also because it comes tubeless-ready (although we did have good luck running the 42mm Cazadero tubeless). Like the 42mm, it comes in a trendy skinwall/tanwall finish option along with the standard blackwall. 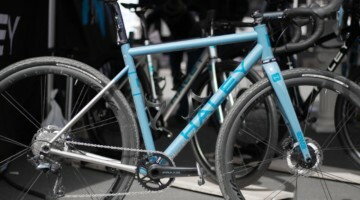 Unlike the 42mm version there is not a 650b/27.5″ version (yet). 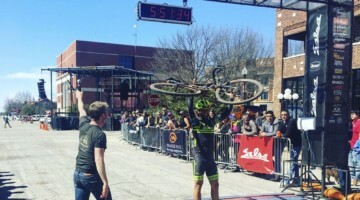 How big is a 700×50 tire anyway? 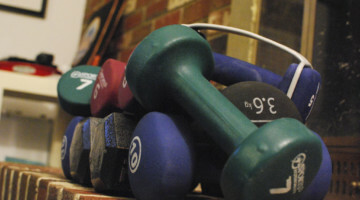 [Read: Finding Truth in Tire Sizing, and Relearning our Numbers, Units an ABCs]. 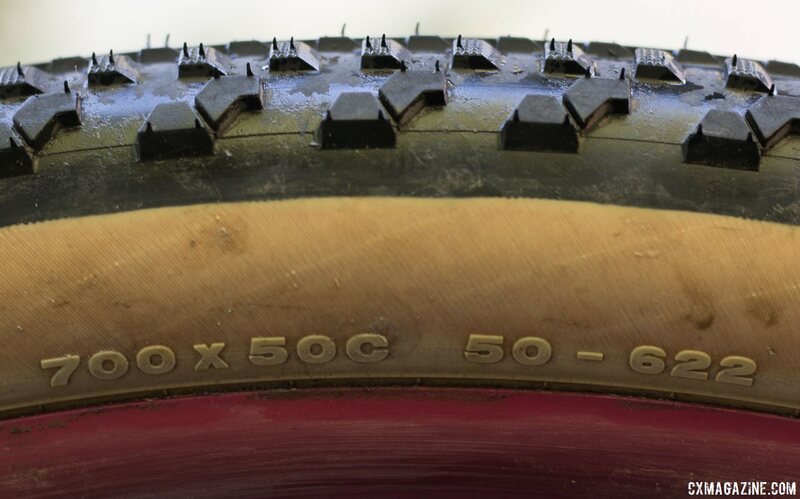 The new Cazadero 50mm tire (note, we’re not calling it a 50c tire, since the “c” only applies to the diameter), is, after confirming with our handy conversion chart, a 1.97″ width. 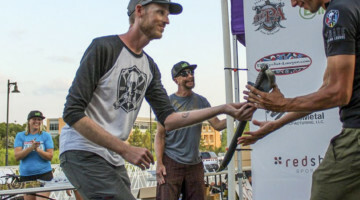 Yes, we’re officially in mountain bike territory. 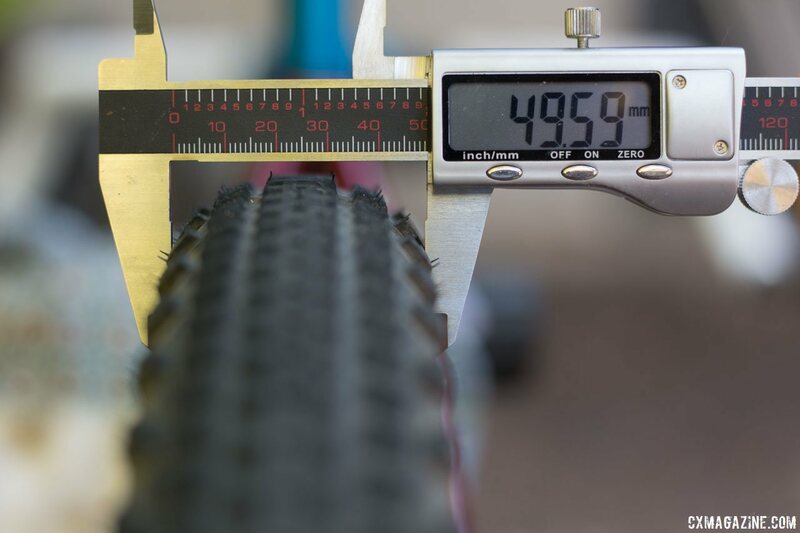 Actual measurements, on a wide 26.6mm (internal) rim, are close to 50mm at 25 psi. Mount it on a “new normal” 17.5mm wide rim and we’d expect it to be about 46.5mm wide—a bit short of the 50mm label. 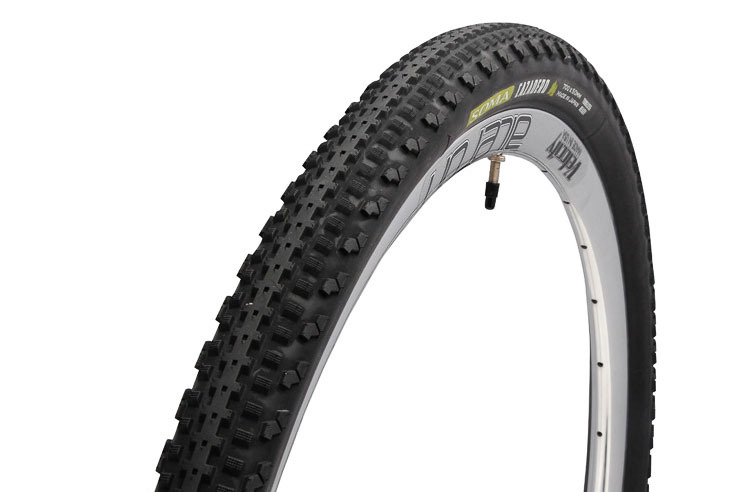 This could be a handy tire to turn a 29er into a mixed terrain or gravel machine. 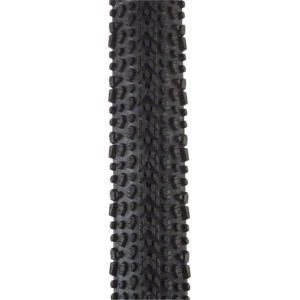 It’s also worth noting that if your bike can fit such a big tire, there’s also a number of 29er tires that would also offer similar volume, although perhaps not such versatility. 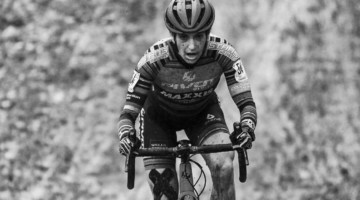 The extra volume and tubeless nature should allow for additional comfort when rolling on both pavement and rocky gravel sections and will help any cyclist ride lower pressures with less fear of pinch flats or bottoming out. 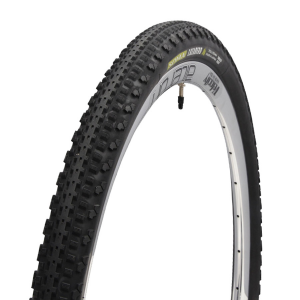 Initial installation has been problem-free, with tool-free installation on a Velocity Blunt SS rim and tubeless compressor pump. 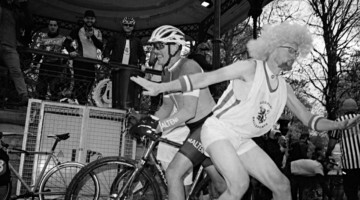 Early rides suggest a similar rolling resistance as the 42mm version at high pressure (∼27 psi or more, for 165 pound rider). 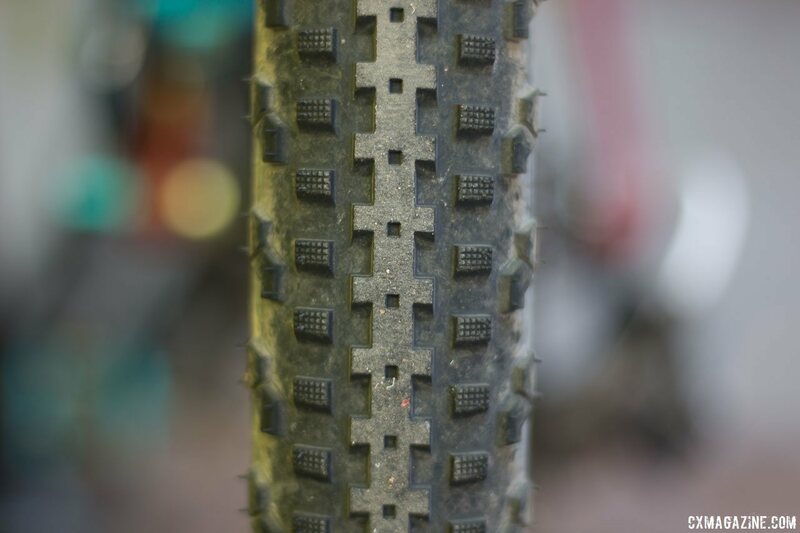 We expected that the 50mm tubeless tire’s casing would be noticeably stiffer than the non-tubeless 42mm version, as many tubeless casings add extra layers of fabric or butyl reinforcement. 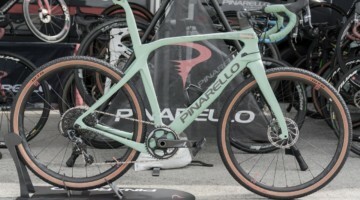 However, the Soma Cazadero 50mm tire did not feel substantially different in terms of suppleness during initial rides, perhaps in part because of the higher air volume and lower pressure we were able to run. 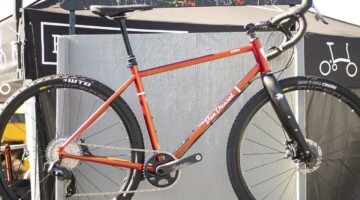 Many gravel bikes and cyclocross bikes won’t fit such a high volume tire, but it fit just fine on the Monster Cross Steve Rex we currently have in our stable. Traction at lower pressure is even better than the narrower 42mm, likely because of the bigger footprint. 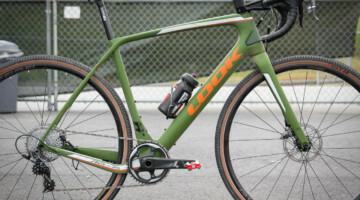 Unlike most fast-rolling gravel tires, there’s plenty of knob height here to cut through the loose gravel and keep you rolling forward on the climbs. 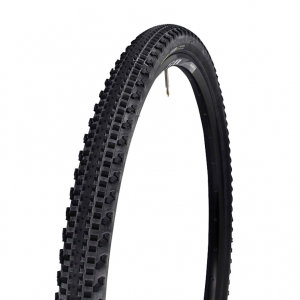 As with the 42mm version, Soma Fabrications recommends running the tire in opposite directions depending on front or rear use. 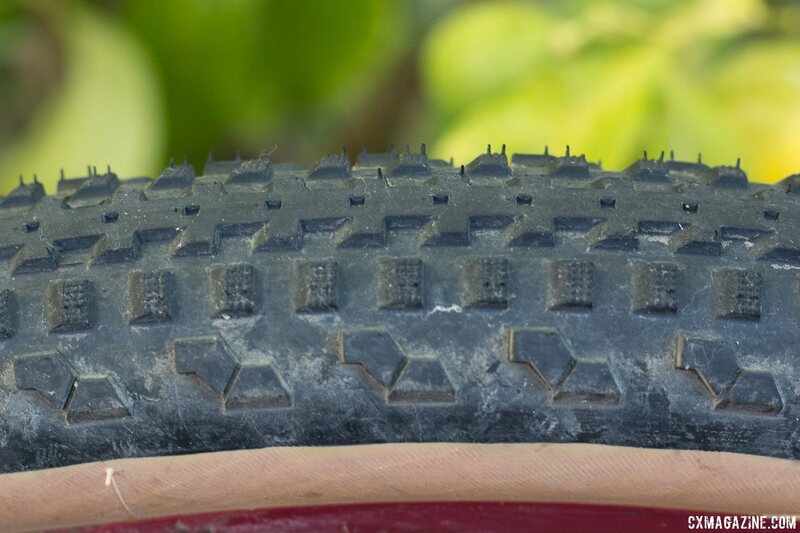 There certainly are lighter gravel tires, more reinforced tires and more supple tires (with fewer or lower profile knobs), but there are few tires like the Cazadero that do almost everything well and remain both durable and supple. 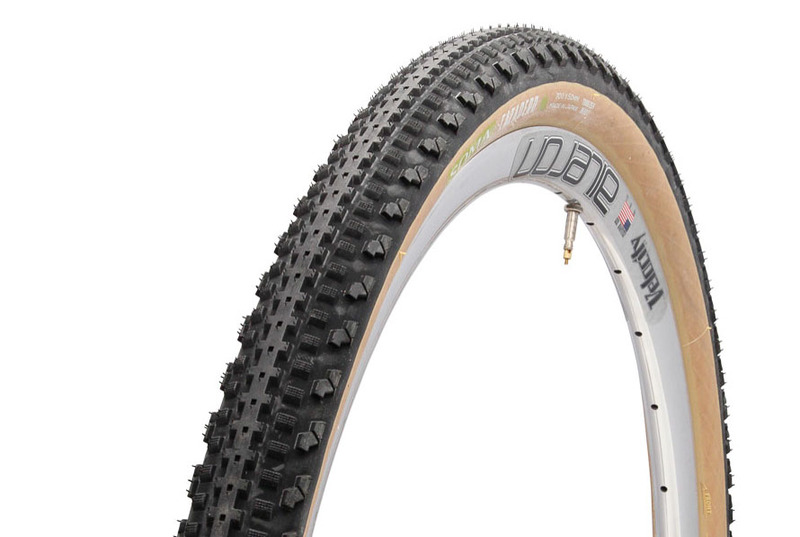 The Cazadero 42mm is the type of tire we’ve mounted up and ridden year ’round (yes, even raced cyclocross on), and based on our initial impressions, expect the 50mm version to be no different. 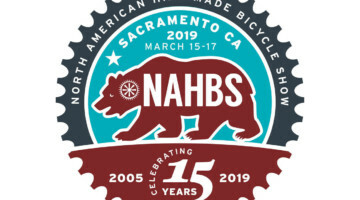 The biggest question for the Cazadero likely is: Will a tire this big fit on your bike? 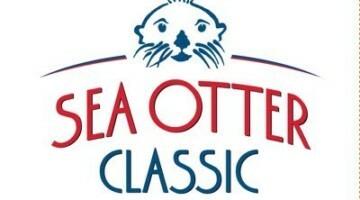 Stay tuned for a long-term review.